I would agree with him, but deep down I knew the main reason I was doing all of this was to be skinny and to fit into my jeans. My definition of being healthy was finding a balance between the junk food I ate and the vegetables my mom was always wanting me to eat. But that was back before I got sick. For those of you who have followed my blog for awhile, you know the past few years have been pretty eventful. I got married in 2013, had a baby in 2014, 2015, and 2016. And each baby was born a few days apart from each other in the month of April. I also have a very high risk pregnancy with my second born, Eli, that really put my body through the ringer. Pregnancy has wiped my body out. A few months after Rhett was born, I tried to start running to get back in shape and fractured my femur. I literally just ran and my bones cracked. I was on crutches for weeks…which was super difficult when I had a newborn baby to carry around. I had no idea my bones were so depleted and brittle from my pregnancy. But that wasn’t enough to make me take a good hard look at my health. With my second child, Eli, I was so high risk that I was constantly monitored and was hospitalized a few times. My life was at risk and so was my son’s. The stress from that pregnancy almost did me in. I stress ate my way to about 30 extra pounds and when he was only 4 months old I found out I was pregnant again. By the end of my pregnancy with Elliot, I was in so much pain I could barely walk. I was hospitalized and found out my liver was enlarged and I couldn’t stop vomiting or feeling dizzy. My aunt and cousin had to come stay with me because I couldn’t get out of bed to take care of my other two children. They delivered Elliot 4 1/2 weeks early because I was continually sick and they couldn’t figure out why, and given my history with Eli, went ahead and decided to deliver her for both of our healths sake. Still, even after all of this, I didn’t realize how sick I was. I started doing research and found the paleo diet. The testimonials were pretty impressive and it helped a lot of people with their joints and inflammation. I was already on the gluten free diet, and had been for years. My mom has celiac, arthritis, fibromyalgia, and lupus, and I was fearful that I was headed down that path as well. The paleo diet helped me a lot (when I consistently stuck to it), and I tried popular natural supplements I heard my friends talk about all the time to see if they would help, and they did for awhile. But after a few months I started having those same symptoms again and my body just ached all of the time. I got so sick of being sick. I am 27 years old and felt frustrated that my body was giving out on me when all I should be doing is running around with my kids and enjoying life. So I decided to start taking my health seriously. I know I wrote here recently about losing weight and wanting to feel good about myself again, and I am super excited to finally be in that place mentally. But for the last few months I have been on a health journey that has nothing to do with my weight or appearance. I became a dōTERRA Wellness Advocate back in February, and I am passionate about sharing products that can help people. I absolutely love helping people. And the oils are amazing, but man…when I found their supplements…my health turned a page. I am not a coffee drinker. I can’t stand the taste of it. So I have felt like a zombie for the last three years! Waking up all hours of the night to care for my babies left my body exhausted and depleted. I tried pre-workout, but felt like my heart was going to explode out of my chest. Then I tried doTERRA’s Lifelong Vitality supplements paired with their Mito2Max. It is caffeine free and there is no high-and-low like normal energy boosters. I have the same energy all day and I can even clean my house at 8:00 at night and not be dead tired. This hasn’t happened since I’ve had kids. AND IT MAKES ME SO HAPPY I WANT TO JUMP AROUND LIKE A CRAZY PERSON. I got so sick and tired of being tired. Can I get an amen from any of you momma’s out there?! My body ache has gone down significantly (weather changes and when I eat bad food still affect me). I use the Deep Blue supplements as well as the lotion when my joints hurt and within a few minutes the pain is GONE. A lack of sleep is a proven method of torture. And since my precious little people came along, it’s like my body forgot HOW to sleep. I can be dead tired and still lay awake for hours at night because my mind will not turn off. I am constantly listening for things, wanting to make sure all of the kids are alive and breathing and that no one is breaking into our house. (Don’t judge…it’s a rational fear okay. Ha) And I think because of that, my mind is running 24/7. So when I found the perfect “concoction” for me, I nearly died from happiness. 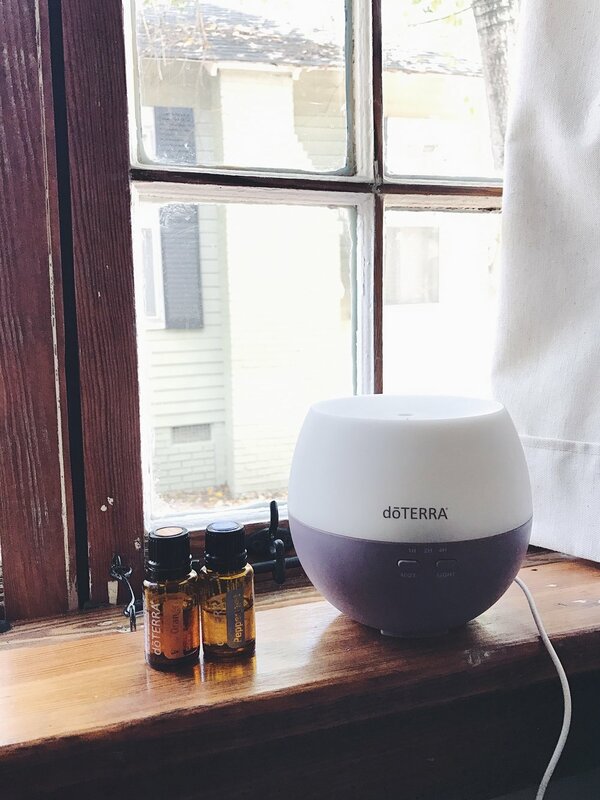 I diffuse Lavender and Vetiver oils at night, rub frankincense on my feet and forehead, and take 2 Serenity capsules at night and WHAM. Momma goes to sleep. Since I have been sleeping better, I can tell a huge improvement in my patience, in my mood, and in my outlook on things in general. Because let’s be honest, a lack of sleep can make ya a teeny bit crazy. I know this may seem like a weird one, but knowing that I am making my health a priority and seeing it actually work has done a lot for me. I feel like a priority to myself and that’s something that almost got lost in the craziness of motherhood. I also like having control of mine and my family’s healthcare. When my kids start to come down with a cold, I know what to do. I diffuse OnGuard and rub it on their feet. 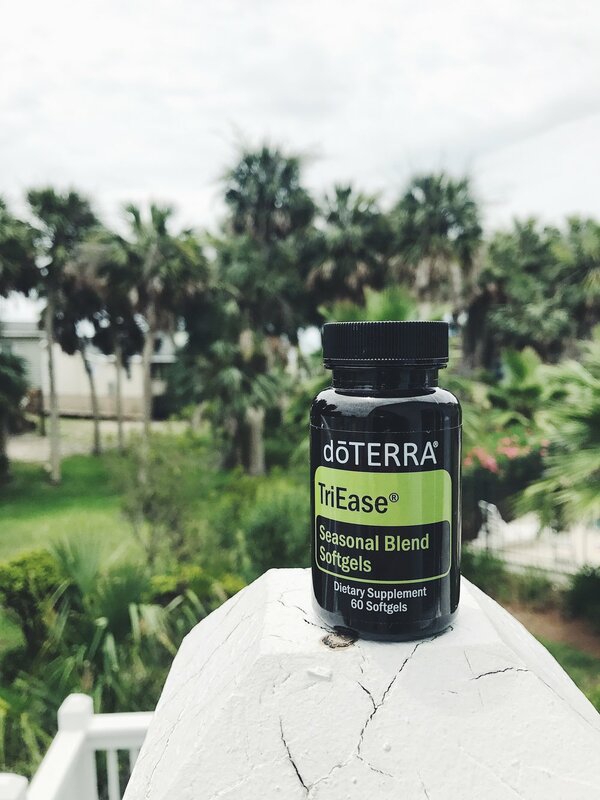 When my husband has a headache or allergies, I rub frankincense, lavender, and peppermint on his forehead and give him Triease soft gels and both symptoms are gone within a few minutes. It feels good to be able to help the ones I love with products that are safe and effective. And due to the business, I am also bringing in income for my family and paying for my products by simply sharing these amazing oils with my friends. And this is coming from a person who has tried and miserably failed at “selling” stuff! For real. I am the worlds worst. But these products “sell” themselves, because they work. And as cheesy as it sounds, they change lives. 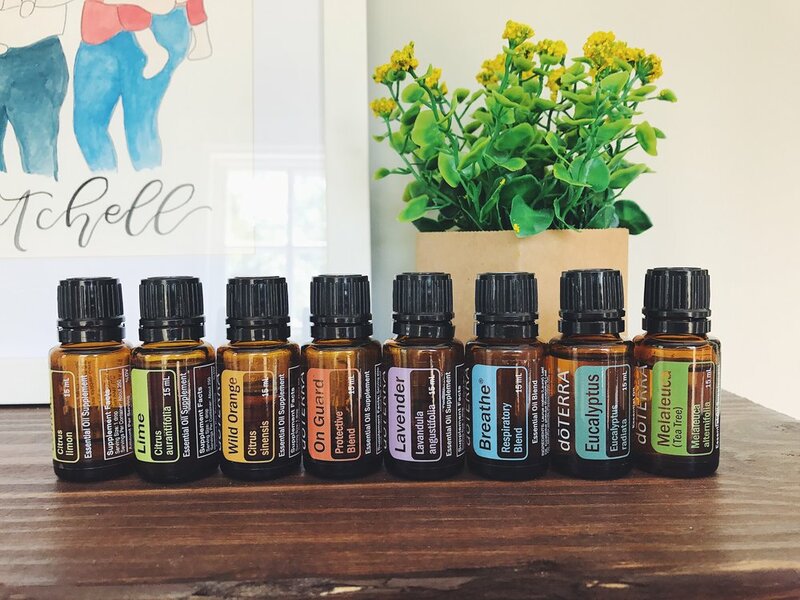 I had no idea the impact these doTERRA products were going to have on my health when I bought my first kit in February. I thought I just wanted high quality oils that would make my house smell good. But I have found so much more…a community of people passionate about helping others get well and maintaining that wellness. So when you see me sharing about these amazing products on Facebook or Instagram, I hope you don’t roll your eyes and think I’m just another person trying to make money off of you. Because nothing could be further from the truth. I share because they have helped me in such a great way…and I want others to experience that same healing in their bodies. So I share all of this to say, if the Courtney I described at the beginning of this post is you…you CAN get better. And I promise you this is not me trying to dupe you into purchasing some product from me. I could care less about that. I just want to give you hope that you can make your health a priority and see positive results with these products. You don’t have to keep living with the pain, lack of energy, depression, anxiety, or whatever the case may be. If you want to talk more about it, comment, message or email me. I am all ears and I want what is best for you.